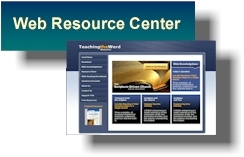 "For the equipping of the saints"
A visitor writes: "I appreciate both the layout and the content of your website. It is 'friendly' in color, spacing, and format. Material is organized in a systematic way, and it draws even the casual visitor to deeper study of God's Word. My visits here are time well spent, a great blessing."